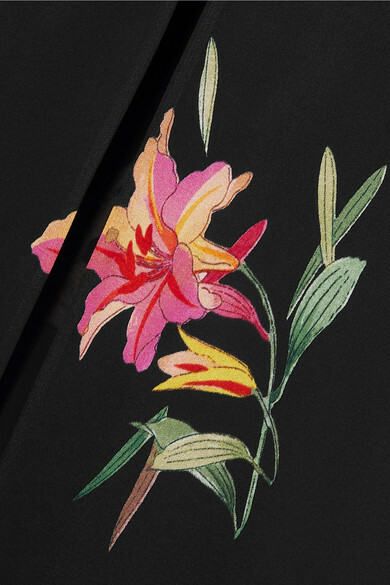 Etro's paisley motifs are now legendary, but the Italian house works just as creatively with colorful blooms. 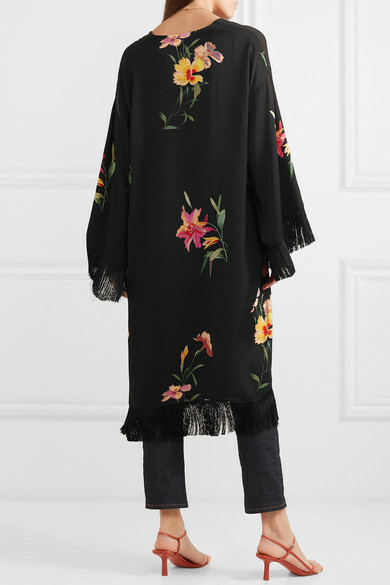 Fringed at the hem and cuffs, this satin kimono is printed with painterly florals. 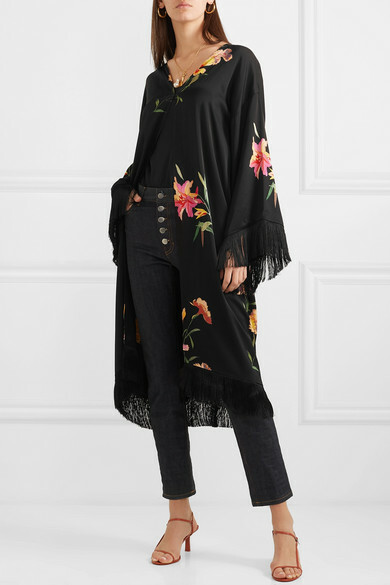 Wear yours with dark-wash jeans and barely-there sandals. 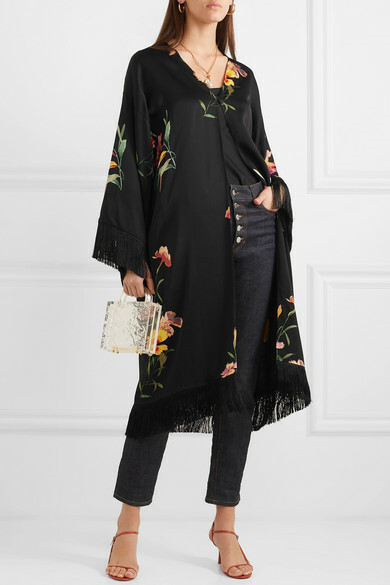 Shown here with: Joseph Jeans, Theory Camisole, L'AFSHAR Clutch, The Row Sandals, Dinosaur Designs Earrings, Alighieri Necklace, Chloé Necklace.